Osaka is where the 1-DAY program in Japan was born. Since 2013, Service Grant Japan has been hosting “Pro Bono 1-Day Challenge” in Osaka. 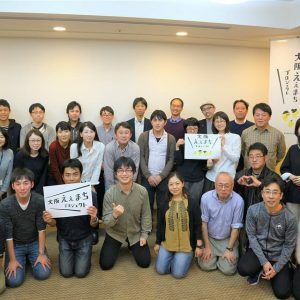 This year, as a part of the commissioned project called “Osaka Eemachi Project”(meaning “good town”) that supports grass-root non-profit organizations engaged to improve local health care services for the elderly in Osaka, 19 pro bono workers have been assigned to support 5 organizations. Each team consists of 4-5 members with different background and business skills. This program is designed mostly for beginners of pro bono. On-site activity is supposed to be completed only in 1 day, with 1 month of preparation period. For more detail, please contact us for osaka@servicegrant.or.jp.